Sweet & Spicy Mixed Nuts – A Healthy Pinch. Roasted, mixed nuts are one of my favorite, favorite homemade snacks. Reason being is that they are completely customizable, free from preservatives or any unnatural ingredients and a great substitute for the chips we normally have lingering in our pantry. This version has been made plenty of times in my kitchen, always disappearing within a few days. 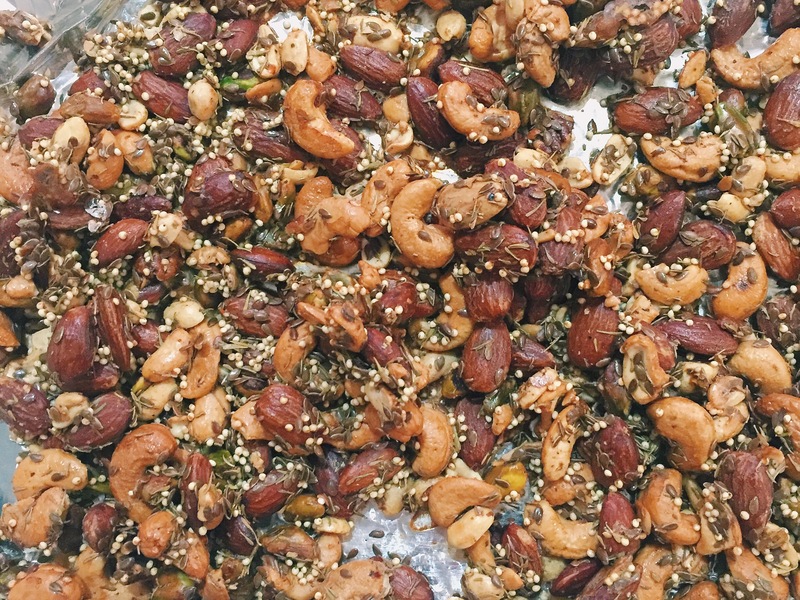 I use a mix of raw, unsalted nuts to control the amount of salt and seasonings needed along with flaxseeds and millet for extra crunch and nutrients. Egg whites create addicting little clusters of flavor while maple syrup and cayenne pepper provide the sweet and spicy elements. Thyme rounds everything out with its earthiness. Quinoa can be substituted for the millet if that’s what you have on hand. The original recipe calls for rosemary, which is also wonderful. So. 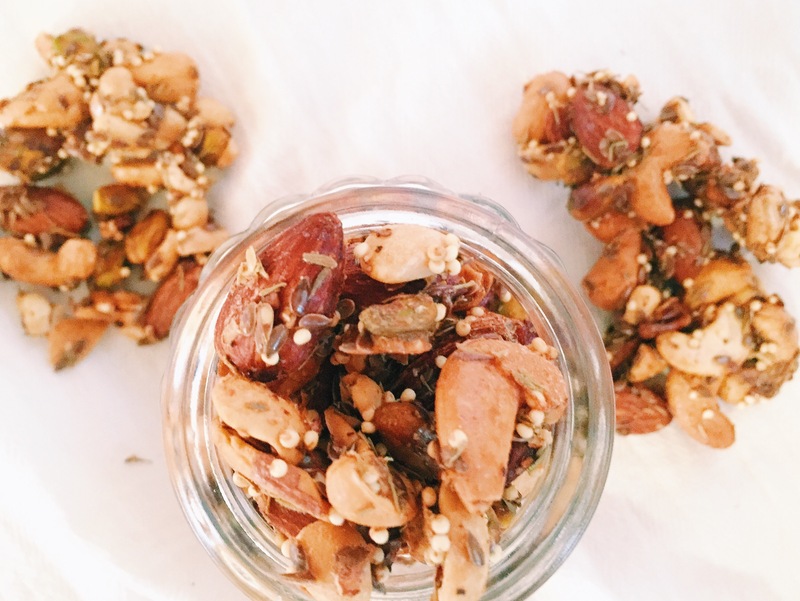 Ditch the chips & pretzels and make these sweet and spicy roasted nuts instead. Your tastebuds will thank you! In a medium bowl, whisk egg white until frothy. Whisk in maple syrup, cayenne pepper, black pepper, and salt. Stir in the nuts, flaxseeds, millet and thyme until everything is full coated. Spread in a single, even layer on prepared baking sheet and pop in the oven until nuts are browned and fragrant, about 25-30 minutes. Remove from oven and let cool. Store in an airtight container for up to a week.